This year’s Major League Baseball All-Star Game was, wait for it… the least watched in league history, drawing a 6.9 rating and probably losing out to “America’s Got Talent (which you definitely won’t find at this year’s All-Star Game).” That number is down from last year which, prior to Tuesday evening, was also the least watched game ever. And we thought the economy was floundering. The Fox execs who recommended signing Major League Baseball to a long-term deal are probably out of work. 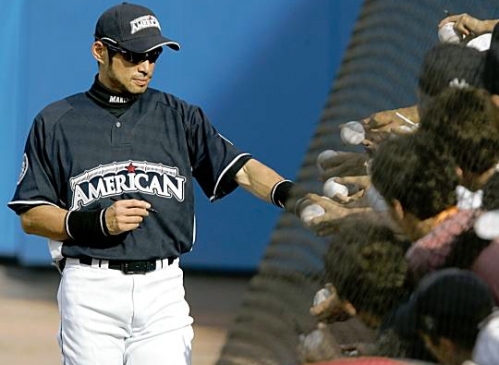 The All-Star Game was always a special event for me. It always fell on, or around, my birthday in mid-July. In fact, there are very few All-Star Games, if any, that I can remember missing. Somewhere along the line, however, the game went from being bar none, the best All-Star event in professional sports to an “exhibition” game which nobody watches, yet still determines home field advantage in the World Series. In retrospect, the decision to make the All-Star Game mean something backfired on Commissioner Bud Selig, who should have realized the game really meant something all along. It used to be good enough to have everyone’s favorite players suit up, toss the ball around the park, sign a few autographs, smile for some photo ops and play to win the game. Now it’s hard to determine which is more meaningless: Baseball’s All-Star Game, the NBA’s or the NFL’s Pro Bowl. No veteran or player nursing an injury wants any part of these games, unless it’s for the after-party. This year, SIXTEEN players bailed on the event. The starting lineups included no A-Rod, no Pujols, no Jeter. Basically, no star power. The biggest drama surrounding All-Star Games these days is when the league awards the next game to whichever Major League city manages to fleece its taxpayers for a new stadium, as if that’s incentive to build a ballpark. That’s like buying an engagement ring for the wrong girl. At this point, if I’m a mayor staring that option in the face, I’m telling the League thanks, but no thanks. What ever happened to lineups like the one in 1977? Joe Morgan, Steve Garvey, Dave Parker, George Foster, Greg Luzinksi and Johnny Bench all started for the National League. Rod Carew, George Brett, Carl Yastrzemski, Reggie Jackson and Carlton Fisk started for the A.L. Ah, the good old days. This year’s starting lineups included Asdrubal Cabrera, Alex Avila and Brian McCann, who I believe owns a chain of shoe stores nationwide. Your starting pitchers used go two or three innings. It wasn’t about the manager’s mad dash to play every, single one of his players. Heck, there’s nearly fifty guys on each roster. Tuesday’s snooze-fest included a total of EIGHTEEN different pitchers, only two of whom, Roy Halladay and Cliff Lee, and perhaps the quirky Brian Wilson, we really wanted to see. I’m not here to propose ways to make the All-Star Game more interesting. That’s been done to death and it’s not like the Commissioner is listening anyway. All I’m saying is that the game I grew up on has lost its meaning to me, and according to the ratings, tens of millions of others as well. Selig’s not the only one responsible. The players play their part as well. But if the game is truly about the fans, then it’s time everyone participating in the event starts acting that way. This entry was posted in Diamond, Featured, Life of Sports Chump, Screen and tagged Albert Pujols, Alex Avila, Alex Rodriguez, All-Star Game, America's Got Talent, Asdrubal Cabrera, Brian McCann, Bud Selig, Carl Yastrzemski, Carlton Fisk, Cliff Lee, Derek Jeter, George Brett, Greg Luzinski, Joe Morgan, Johnny Bench, MLB, Pro Bowl, Reggie Jackson, Rod Carew, Slam Dunk Contest, Steve Garvey by Chris Humpherys. Bookmark the permalink. Great article bud. I still like the all-star game for baseball but it definitely has lost a lot of it’s luster. The ratings weren’t good again so it appears that their meaning into the all-star game thing still isn’t working. They need to try some other things to make sure the stars show up because that’s the only reason people watch all-star games. Thanks, CR, and for the record, people, Chris also wrote a post on how to tweak the All-Star Game. I do think, Chris, that the event needs to get back to relating to the fans. After all, it’s a fan’s event, isn’t it? That’s actually one thing the NBA does incredibly well. That All-Star Weekend is all about the kids. 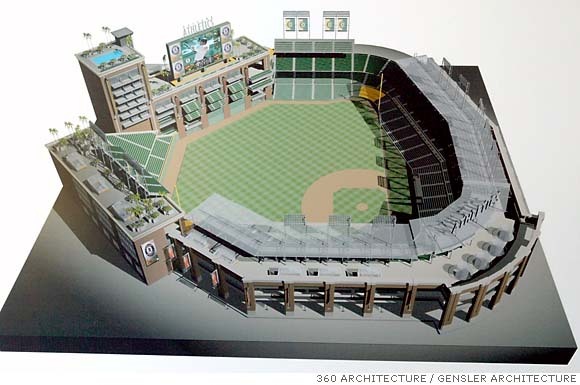 Nice use of the stadium the A’s never built in Freemont! Not a fan of Asdrubal? All I’m saying, Chap, is that he doesn’t necessarily carry the star power of some of the bigger names in the league. Very well said my friend. Baseball is my game and it is sad to see what has become of it. It is getting harder to be a fan of any sport these days, but on the bright side it is Friday and with a little luck and a couple of bottles of wine I may just get lucky tonight! When all else fails, Rufinol. I don’t mean to suggest lineups past haven’t had their one-hit wonders, nor do I mean to throw Cabrera under the bus. He may be having a better season than Jeter, but he’s not Jeter. There was a lot made over him playing/not playing in the wake of his 3000th hit. Veterans like him have always been more popular in the eyes of the voters and generally get thrown into the game. We complain when the popular guys don’t make it in and we complain when the more deserving guys don’t either. We’re a tough bunch to please. One thing that can’t be argued, however, is that, for whatever reason, people are no longer tuning into the game, and that needs to be fixed. any thoughts on how opposition to Arizona’s profiling law had an effect on viewership and attendance? I know there were boycotts organized. I was hoping some of the Latin or minority players would have been more vocal about the game being held there. As it turns out, Charles Barkley, as usual, was the most vocal of all. I didn’t tune in so I didn’t catch whether there were any picket signs, not that Fox would have shown that anyway. Maybe you’re right, maybe minorities were afraid to show up to the game for fear of being pulled over just for being a minority. Probable cause, right? At the end of the day, it may have had some effect but that doesn’t explain why ratings were down last year as well. I simply love the fact that players on the AL roster merely turned up so that they got their incentive bonuses from their respective teams ! And people liken this event to something that’s so special as it relates to the social and sporting dichotomy of the nation ? There was a time when to watch a lynching was actually a special treat for the public . Now what ? Stupid Is , Can’t Be As Stupid Does , Can It …. ? Do you mean as vocal as Adrian Gonzalez was first said to be ? Then he wimped out like a b_tch claiming that he was misunderstood ! There ya’ go, William. Bring up the elephant in the room and Al will ride it around the zoo. A-Gone was the only one who said anything but as Al mentioned, he later backtracked. Considering the game is primarily comprised of Latin ballplayers, I’m surprised nobody said anything about it. Where’s Manny when we need him? The games when I was a kid during the 70’s were memorable not only for the star power, but because other than ONE game on Saturdays, it was the only baseball on TV! Each team now has 162 games on TV…. kinda makes the All-Star game not so fresh. Not only the All-Star game, but the playoffs and World Series aren’t as ‘must see TV’ as they were before this total saturation. Before someone says it, don’t compare the NFL saturation against MLB’s. The NFL is still mainly a ‘once a week’ event, with ratings enhanced by the fantasy geeks. We were actually born on an All-Star game date. It was only going downhill from there. If players such as Adrian Gonzalez one minute say that they stand for something and the next they back down because they’re saying that they simply hadn’t read the statute enacted , much less understood it then they’re simply no better than the a#s wipes than those seated in both federal legislative chambers ! . And we all know how those idiots can back track don’t we ? Man Ram is ridin’ around waiting on the $25 million he’s still owed by the Dodgers . Well I can’t wait for the next step by the Justice Dept as it relates to Clemens ! Can’t we simply enact some of the tenets of Sharia law and be done with the crap here as it relates to the so called justice system in place ? So you’re saying it was meant to be? I always took you for a fatalist. We both questioned the signings of he and Damon and as it’s turned out, Damon’s been the best thing that can happen to the Rays this year (other than James Shields being absolutely money). I fully expect them to re-sign Damon and possibly end his career in a Rays uniform. Let the discussion of his Hall of Fame worthiness begin. Well the talk is that the Rays may well be buyers and sellers come the trade deadline (31st July) . While all the talk surrounds the fact that they’ll off-load BJ Upton and no doubt they’d get some talent in return because as we know the front office won’t be paying the player the money he’s seeking . If the Rays don’t re-sign Damon then they’re bigger fools than you or I could have possibly thought ! It has been his leadership that has led the team to where they are at present . He’s going to be in the Hall of Fame once his career comes to an end and having met the criteria as his stats will bear this out ! Is former PGA Tour player Andy North that much of an a#s ? He put that sh#t out there far more than an elephant suffering from diarrhea ! His analysis of golf ranks up there alongside the credibility of the Fox News organization at present ! His premise prior and during the and prior to the final round of the Open was that Clarke would wilt with an American coming to the fore and winning the tournament outright . Well we all now know how that ended don’t we ? Mickelson simply cracks under pressure and Dustin Johnson will always be viewed as a bridesmaid ….. never the bride . Johnson can’t win the big one and that’s even if his life depended on it ! They still play baseball? Thank the roid-boys for ruining a good thing. Put Up Or Simply Just Shut The Fu#ck Up ! Is the pitching talent out there going to that thin come the trade deadline ? The Rockies are looking for King’s ransom for their ace Urbaldo Jiminez . What’s up with that ? I simply don’t believe that the Steelers’ James Harrison misspoke ! He may well have not really said what was on his mind that’s all . LOL,LOL,LOL !! So after last night’s debacle at the Trop what else can now go wrong for the Rays ? Lights go out and the whole organization becomes a laughing stock because of it . Never mind that this isn’t the first time this situation has happened during a night game . It’s becoming a comedy of errors from which there’s no relief coming from anyone who’s liable to show some common sense and assist the organization. It’s not coming from Selig and the local politicians are merely using the whole situation as a sound byte . So now Dwight wouldn’t mind playing abroad perhaps China as he’s said to be intrigued by the idea of playing there ? However rumor now has it that Lamar I’ve No Balls Kardashian has let it be known that even though his wife is said to be pregnant it’s now a possibility that he won’t be a Laker next season as he believes the team will seek to move him . Does that mean that Dwight will end wearing purple and gold ? Otis might want to look into that don’t you think ? I mean Dwight in LA and the thought of him playing in China ? How’s your Mandarin and Cantonese ? Perhaps Dwight will be in need of a linguist and PA ? Had he chosen to pursue playing in France then I’d offer my talents and knowledge of the life in France and in particular the city of Paris . Put Up Or Simply Shut The Fu#k Up ! Any chance that McCourt will be writing a letter to the players (no longer with the team) that the Dodgers are said to owe money to asking if they will accept ring tops , plastic bottles and cans in lieu of payment ? Oh to be a Dodgers’ fan ? LOL,LOL,LOL !!! Will hell have frozen over and the earth have fallen off its axis if the Pirates actually end up with a winning record and then go on to win the NL Central ? These are some of the intriguing things that have begun to cross my mind at present . Trading Upton at this point might be the right move, especially if Brandon Jennings is ready. If they can get good value for him, that might be the play. Or I can easily see them moving one of their pitchers to make room for one of the younger guys. I fully expect them to re-sign Damon though. The question is how much will he ask for? I don’t think he’ll ask for all that much but he ain’t gonna play for free either. Interesting, Al. I always thought Dustin Johnson already had a major under his belt. I was wrong. Sorry for bringing up such a sore subject. Perhaps a shot of something will put a smile on your face. Hey, it worked for half the league, right? I’m working on a James Harrison piece and let’s just all hope that the Yankees don’t land Ubaldo Jimenez. I guess all the attention the Trop is getting is a double-edged sword. The last two incidents were a borderline embarassment and announcers like Kruk and Hershiser really let the stadium have it, but maybe, just maybe, that’ll be a push to get a new stadium built. Dwight in China? I guess that’s better than L.A., huh? The Pirates would have been a great future bet this season, Al. If anyone took them to win that division at the beginning of the season, they’ll be laughing all the way to the bank. We’ll see if they can keep it up.